Well it just happened, just like i said it would. Congratulations Woody Johnson, you have signed a QB for over 50 million dollars who has never taken an NFL snap. It’s really funny to think that he only played one year of true D-1 ball! The Contract is a five-year contract that includes $28 million in guarantees. 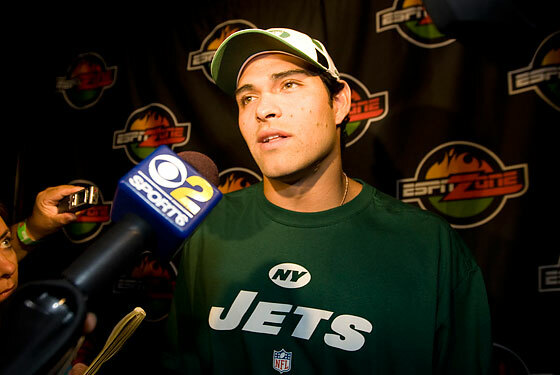 The Jets base cost in this deal is $44.5 million, although the true value, based on easily attainable incentives, is $50.5 million, Sportsroids sources have reported.Mark Sanchez has taken the Jets to the cleaners just like I said he would. This man is set up to be the biggest draft day failure yet, signing the largest guaranteed contract in Jets history. What is Woody going to do when this untested QB flops? He’ll be broke already!